New Norway operation to focus on driving digitalisation of shipping. Inmarsat (LSE: ISAT.L), the world’s leading global mobile satellite communications company, has opened a new office, at the Norwegian Maritime Competence Center (NMCC) based in Ålesund, Norway, to continue to drive the digitalisation of the shipping industry. The opening of the facility in the heart of Norway’s leading edge maritime community, signals Inmarsat’s intention to intensify work with third party innovators and digital disrupters to exploit high-speed broadband via Fleet Xpress through its Certified Applications Provider (CAP) programme. 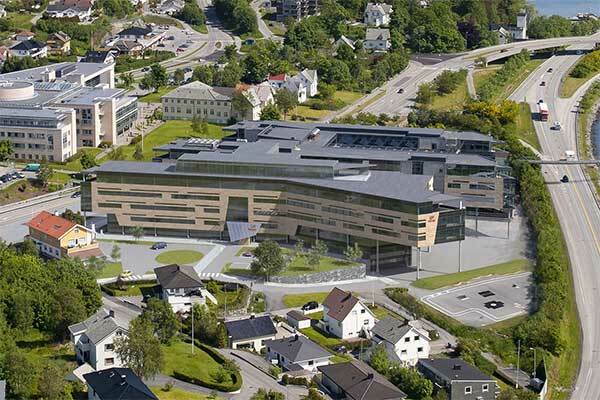 The maritime hub at NMCC, which is part of the Norwegian University of Science and Technology campus is recognised for its technical excellence, and is home to the influential Blue Maritime Cluster, whose members are leading the drive in remote monitoring equipment on board vessels and the use of data analytics for real-time decision making. Inmarsat recently signed a Letter of Intent to enable the Rolls-Royce Energy Management System (EMS) via Fleet Xpress. Rolls-Royce is also based at the Ålesund NMCC, where it oversees its remote monitoring, data analysis, and ship performance strategy. Using the always-on connectivity of Fleet Xpress, EMS data is logged in real time so that its management software can optimise operational efficiency via its built-in verifiable reporting capability. Fleet Xpress combines Inmarsat’s Global Xpress high speed data network operating on Ka-band with the ultra-reliable FleetBroadband service on L-band. Inmarsat Maritime is seeking to increase the penetration of Fleet Xpress services in the superyacht, cruise ship and offshore rig markets, Spithout adds. “With 10,000 vessels committed for installation, Fleet Xpress is already enabling the merchant maritime industry to join the connected world, and we are only at the start of digitalisation in the industry,” he says.